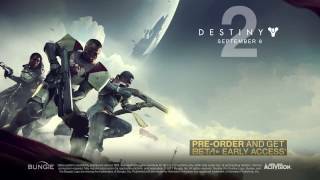 Bungie, High Moon Studios and Activision have revealed Destiny 2: Forsaken, the next expansion for the shooter, will release worldwide on September 4, 2018. Following years of strife, what remains of the Reef has fallen to lawlessness. Players investigate the recent unrest and will explore new regions, awaken new powers, and earn powerful weapons. The Forsaken DLC features The Dreaming City destination. With secrets to discover and bosses to defeat, this destination also houses the brand-new raid and is the first space designed from the ground up to support endgame content. The expansion promises two brand-new destinations to explore, and new weapons, armor and Supers to acquire. Forsaken also features an all-new competitive and collaborative endgame activity, called Gambit. Gambit is a hybrid 4v4 mode that merges both PvE and PvP experiences. All Destiny 2 players will also get a patch alongside the expansion that promises changes and features such as a new weapon slot system, Random Rolls, improvements to the mods system, and numerous other quality-of-life improvements. 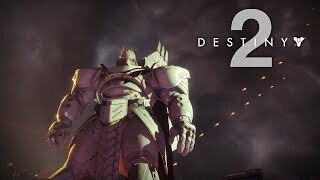 Destiny 2: Forsaken will be available for $39.99. There will also be a Destiny 2: Forsaken + Annual Pass Bundle at $69.99, and the Destiny 2: Forsaken - Digital Deluxe Edition for $79.99. At launch, PlayStation gamers will get access to the following timed exclusive content: a strike, one gear set per class, a new ship and an exotic weapon. 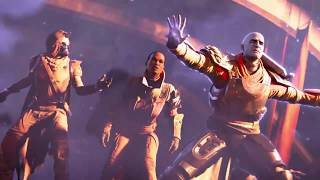 At Destiny 2: Forsaken’s launch, the previously released Destiny 2 launch timed exclusives will be made available for all platforms.